Roy Kelley, one of our employees at Jordan Medical came to us this week saying we had to watch a video on You Tube by the Kentucky country music band Sundy Best of their song Mountain Parkway. He said his daughter Edith had asked him to watch a video with her of a song she liked. When Roy looked over Edith’s shoulder, he instantly recognized the crosses of Drew and Jeremiah that we had erected at the scene of their fatal car accident on July 23, 1993, the year anniversary of their deaths. I couldn’t wait to get to my computer to watch the video. 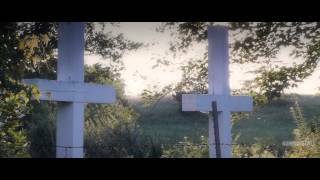 Imagine my amazement when a photo of Drew and Jeremiah’s crosses was the lead-in photo to their official video for their song Mountain Parkway. Listening to the lyrics, I realized that the crosses that had given us so much comfort over the years had also had a lasting effect on many others. I called Jordan and asked him if he had heard of the group Sundy Best. I told him to check out their You Tube video for their song Mountain Parkway. He told me later that he knew there had to be something about his brothers connected to the song. Like us, he was amazed when he saw their crosses. Jordan posted the video on his Facebook page and within minutes had several comments and hundreds of Likes. None of us ever want our children to be forgotten. Sundy Best has memoralized Drew and Jeremiah in a way I’m sure they never expected. What an honor.